Ambrane India established 'Ambrane India Private Limited' in 2012, as an electronics brand, majorly dealing in power banks but started manufacturing mobile phones and tablets as well. Ambrane believes in providing cutting edge technology at affordable prices. A tablet can be used as an entertainment device as well as a workstation, and hence the A707 tablet is suitable for both personal and professional use. The Ambrane A707 specifications include 1 GHz Dual-core, Cortex A9 processor, with 512MB RAM. Talking about the company dealing in latest technology devices, the A707 boots on Android v4.2.2 Jelly Bean and is powered by a 3000 mAh battery. 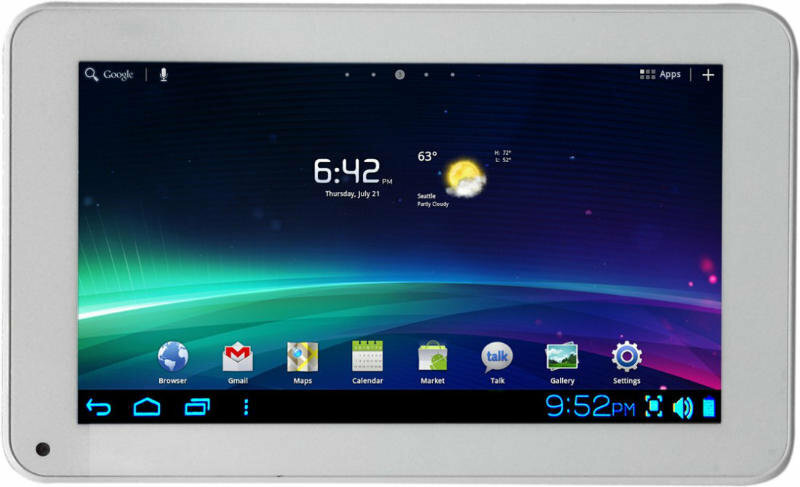 The tablet features a 7-inch wide touchscreen LCD display, with a resolution of 480x800 pixels at a pixel density of 133 PPI. As far as the cameras are concerned the tablet supports 0.3MP VGA cameras on both panels. The A707 supports an internal capacity of 4GB, that can be further expanded up to 32GB via using a MicroSD card. For network and connectivity, the tablet supports 3G, Wi-Fi, Bluetooth, and a USB port. The A707 is stylish, sleek, and affordable, plus it is equipped with above the basic features expected out of an entry-level tablet. The Ambrane A707 price starts at minimum range of INR 6,999 in India. Ambrane A707 full specs and reviews as of Apr 2019. Buy it here!